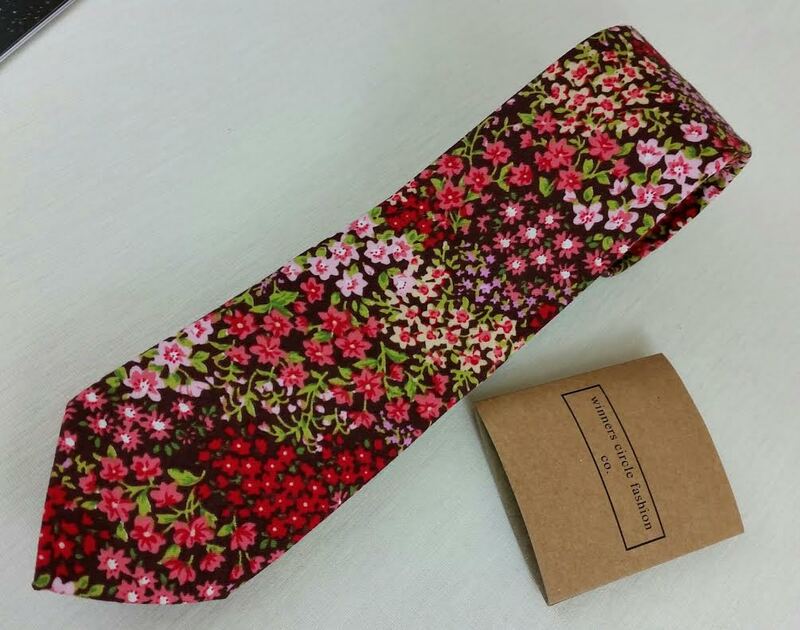 Winners Circle Fashion "Pinto" Floral Tie- This is a very floral cotton tie. It is quite floral and quite pink. While my husband is totally okay with wearing pink and other typical "girl colors" like lavender, this was a little much for him. I think he would have worn it if it wasn't so flowery. I'm hoping he'll consider wearing it with one of his vests where the whole flower explosion doesn't show, just a splash at the top. 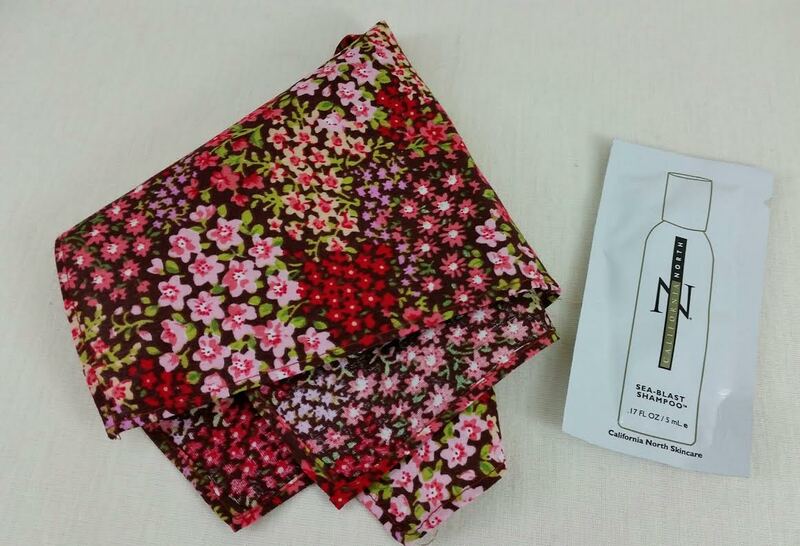 Winners Circle Fashion Floral Pocket Square- This pocket square is an exact match for the tie. I didn't think that pocket squares were supposed to match so exactly but I think this will work with a couple other ties DH has. This is also 100% cotton. California North Sea Blast Shampoo- A cleansing and moisturizing shampoo with aloe, kelp, vitamin b and wheat protein. It's a sample packet. 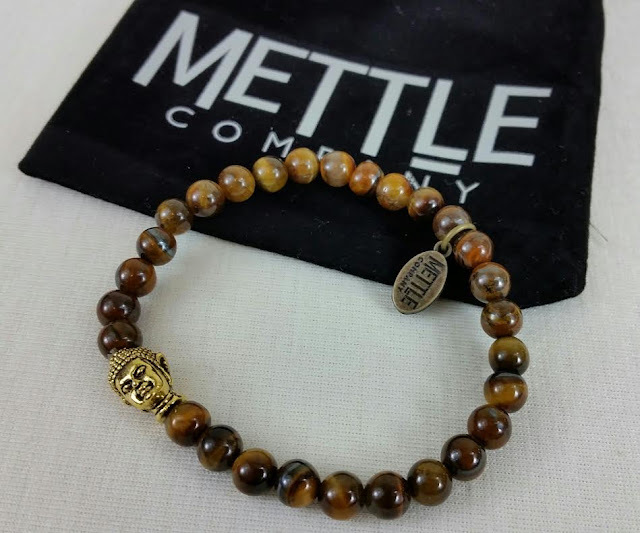 Mettle Co. Buddha Bracelet- This bracelet is made with Tiger's Eye. It's a 6mm stretch bracelet with a golden Buddha head. It's pretty heavy which I like. There's also a little metal branded tag. My husband has worn leather cuffs in the past which I've liked but I don't think he's quite into bead bracelets. I might wear this myself. Sock 101 "The Thomas" Socks- These socks are navy and pink striped. 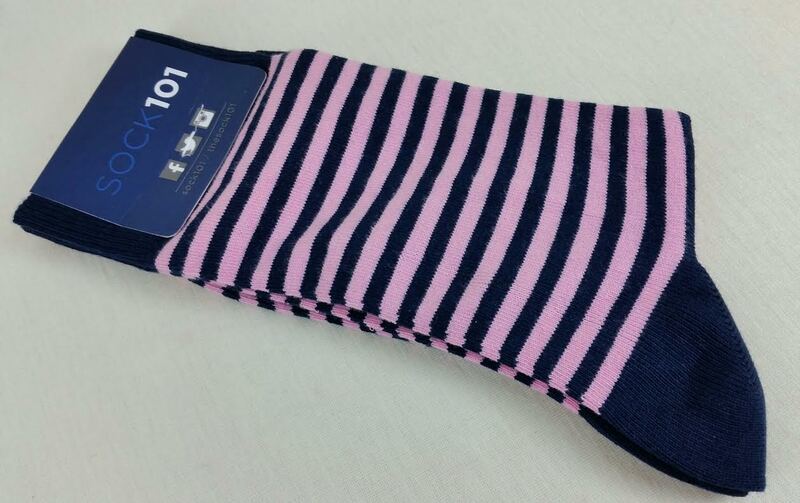 If they were girl sizes I'd wear them myself but DH likes to have a pop of color with his socks. He tends to go for argyle over stripes, though. Not sure why. These are a cotton, lycra, nylon blend. You'll also receive the latest copy of GQ magazine! 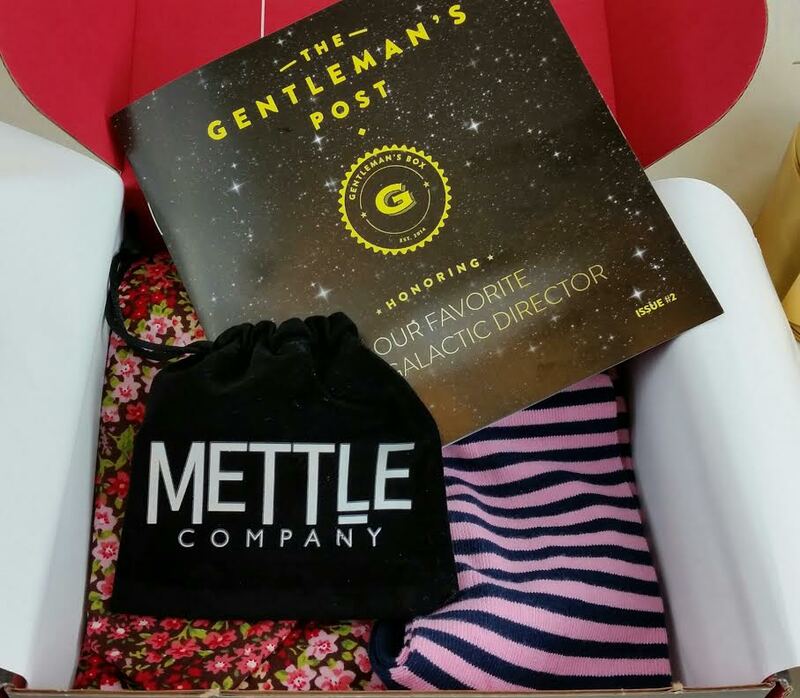 The information card says the magazine ships separately so after you get your box, keep your eye out! VERDICT: I like the variety of products included in this Gentleman's Box. It's a great swing of accessories, that's for sure. It's a bummer the tie probably won't be put into rotation but I'm going to try to get him to wear it at least once. Love the quality of the bracelet. The box has a value of about $70 which is more than double the cost of the box. 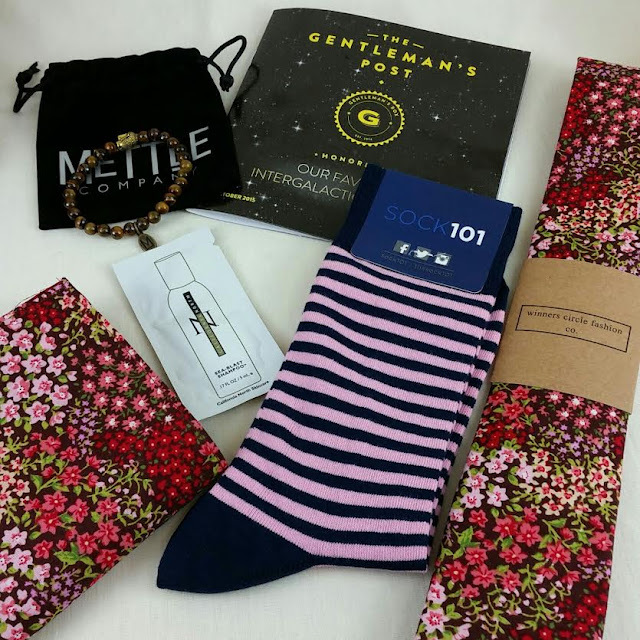 If you would like to sign up for Gentleman's Box or give it as a gift, you can do that here. They have a gallery of past boxes that will give you a really good idea of what to expect. How do you feel about these box contents? Would you wear the tie? *This box was sent complimentary for review purposes. All opinions are mine (or my husbands). Post contains affiliate links.